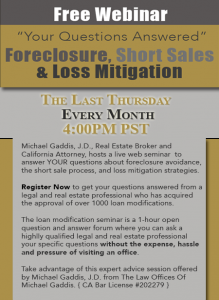 Michael Gaddis, J.D., Real Estate Broker and California Attorney, hosts a seminar online to answer YOUR questions about foreclosure avoidance, the short sale process and loss mitigation strategies. View Now to get your questions answered from a legal and real estate professional with a decade of experience and over 100 successful short sales under his belt. The seminar is a 1 hour open Q&A forum where you can ask Michael Gaddis, J.D. about your specific loan questions without the expense, hassle or pressure of visiting an office. 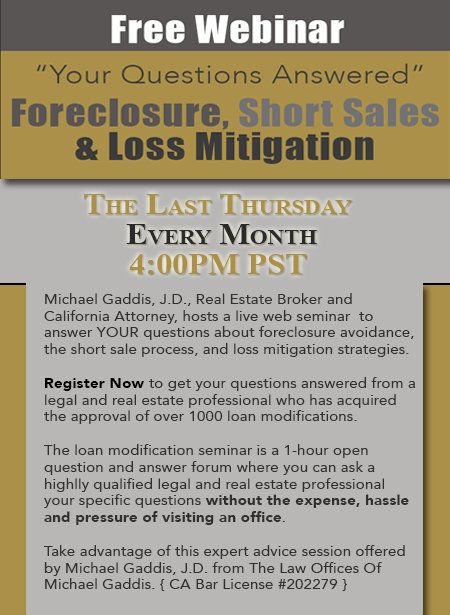 Take advantage of this expert advice session offered by Michael Gaddis, J.D. of Michael Gaddis, J.D. 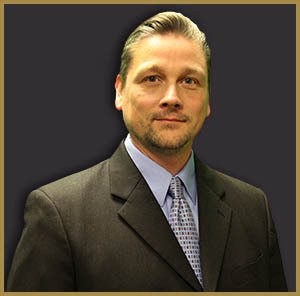 Realty Group and The Law Offices of Michael Gaddis www.californialoanmodificationattorney.com.